If you’re a little confused about Apple’s cloud-based photo sharing services, don’t worry you’re not alone. My Photo Stream is the Apple’s first attempt to take all your photos to the cloud by keeping them together in your iCloud account. It’s a centralized location for sharing photos across all your iOS devices. It automatically uploads new photos and syncs them across all your iCloud-connected devices including iPhone, iPad, iPod, Mac, and Apple TV. However, it only holds the photos taken within the last 30 days up to a maximum of 1,000 on your iCloud account to conserve space. Apple’s photo-sharing service, iCloud Photo Library, is quite similar to My Photo Stream in that it syncs your photos across your iOS devices and stored them in the cloud, except it also works with videos. So what’s the difference between the two and which one should you choose to prefer? My Photo Stream is a centralized location for sharing photos across all your iOS devices. Every time you take a photo with your iPhone or iPad or import one into your personal computer, it gets added to your Photo Stream. From there, it automatically starts appearing on all your other Apple devices. My Photo Stream is Apple’s photo-sharing app which stores and syncs all your photos in the cloud to make sure they are always backed up. However, only the latest 1,000 photos appear on your device and the ones taken within the last 30 days. To turn on My Photo Stream, go to Settings -> Photos & Camera -> Upload to My Photo Stream. The Photo Stream is a very old photo-sharing app which has long since replaced with iCloud Photo Library. The new iCloud Photo Library is the Apple’s solution to provide a better and efficient way to manage and access all your pictures and videos across all your iOS devices including Mac, iPad, iPhone, etc. The idea is to reduce the time you spend on managing your digital memory collections and rather focus on to get more creative. 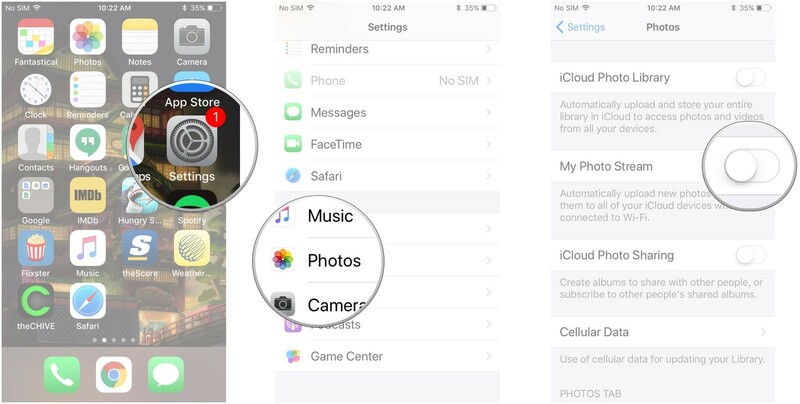 Once the iCloud Photo Library is turned on, all the photos, videos, and albums are automatically uploaded to iCloud and can be later downloaded into your other devices. Plus the changes you make to photos on one device are readily synced across all your other devices. My Photo Stream is the Apple’s cloud-based photo-sharing service that stores your recent photos in the cloud and syncs them across all your cloud-connected devices. However, the photos taken over the last 30 days and up to a maximum of 1,000 photos are uploaded to the cloud and then downloaded to your other iOS devices. Photo Library is similar to My Photo Stream, except it keeps both photos and videos in iCloud and on your iCloud-connected devices. It allows you to access, edit, manage, and share photos and videos from your iOS devices. With My Photo Stream, your recent photos taken within the last 30 days or import to your personal computers automatically appear across all your iOS devices. It stores up to 1,000 photos in the cloud and doesn’t count against the set iCloud storage limit. Unlike My Photo Stream, iCloud Photo Library also keeps videos which tend to take a lot of space. And it keeps a full-sized copy in the iCloud with no specific limit on how many photos and videos can be stored. However, it takes part of your iCloud storage limit and you can easily reach your maximum limit of 5GB after which you are required to upgrade your storage plan. Although, they appear to be similar in terms of functionality, which is to keep your photos synced across all your iOS devices, the difference lies in how the syncing works across both the photo-sharing features. All photos along with the changes you make to them like adding filters, effects, or performing annotations are automatically synced across all the cloud-connected devices with iCloud Photo Library enables of course. iCloud keeps a backup of the original photos which can be retained at any time. However, this isn’t the case with My Photo Stream. Any changes made to the photos are not synced across devices once they are downloaded to each photo stream. The Photo Library stores and syncs everything you shoot with your iPhone and iPad including photos, videos, live photos, time-lapses, etc. It supports all file formats even the ones generated through other apps such as JPEG, TIFF, PNG, GIF, and most RAW formats photos or videos. However, My Photo Stream is kind of limited in this regard as it supports limited file formats for photos such as JPEG, PNG and TIFF. And it doesn’t work with videos or Live Photos for that matter. Also, low-resolution photos and compressed versions of the originally shot images are stored on the devices to save storage space. In a nutshell, both the Apple’s photo-sharing service appear to serve the same purpose – to keep your photos synced across all your iOS devices including iPhone, iPad, iPod, Mac, and Apple TV – but the difference lies in the way they do it. My Photo Stream is Apple’s proprietary photo-sharing service that allows you to keep all your photos perfectly stored in the cloud and synced across all your Apple devices. However, there’s a catch – it only uploads and syncs photos taken within the past 30 days up to a maximum of 1,000 in the cloud. 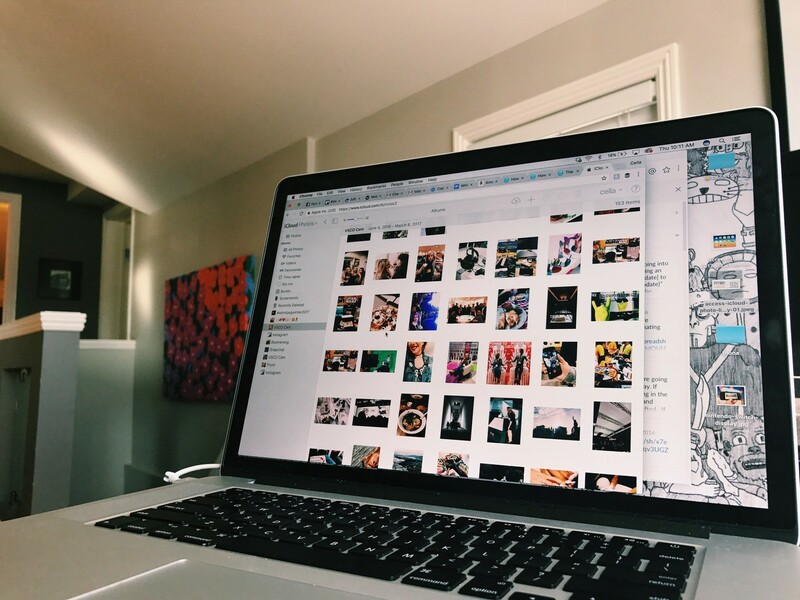 The Photo Library is a more simplified version of My Photo Stream which allows you to access, manage, edit, and share photos as well as videos across all your cloud-connected devices. Sagar Khillar. 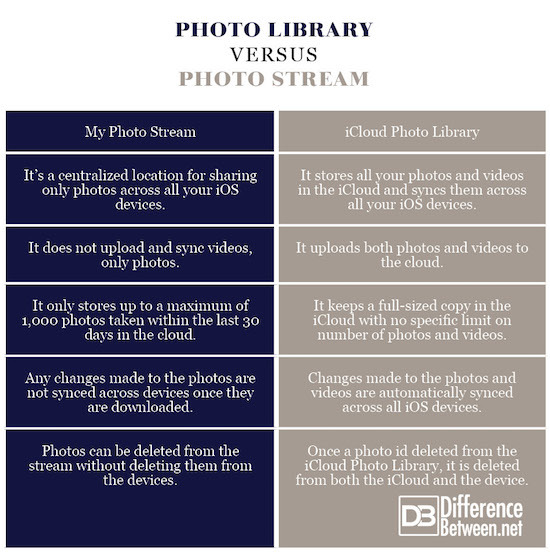 "Difference Between iCloud Photo Library and My Photo Stream." DifferenceBetween.net. July 30, 2018 < http://www.differencebetween.net/technology/difference-between-icloud-photo-library-and-my-photo-stream/ >.